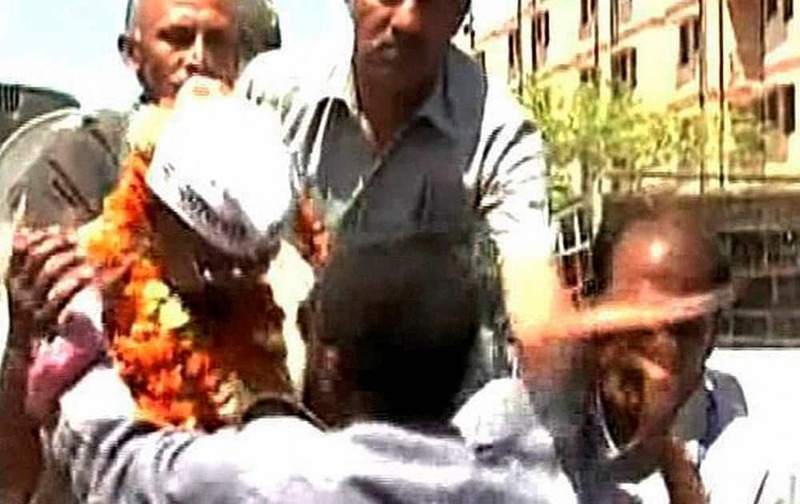 AAP convener Arvind Kejriwal with party leader Manish Sisodia and supporters sitting at a silent prayer at Mahatma Gandhis samadhi Rajghat after he was slapped by an autorickshaw driver in an election road show in New Delhi. 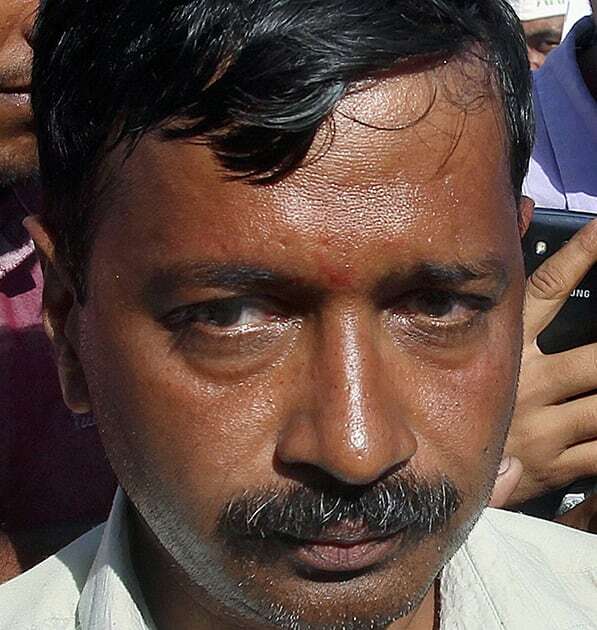 AAP convener Arvind Kejriwal sitting at a silent prayer at Mahatma Gandhis samadhi Rajghat after he was slapped by an autorickshaw driver in an election road show in New Delhi. 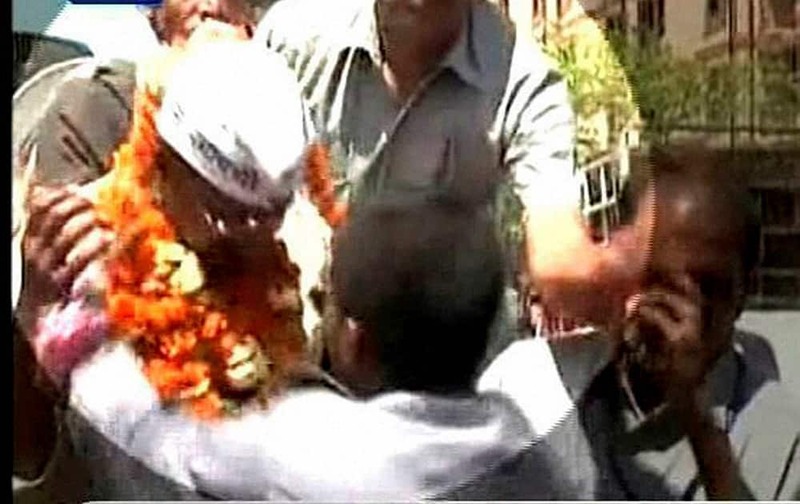 An unidentified person slaps AAP convener Arvind Kejriwal during an election road show at Sultanpuri in New Delhi.